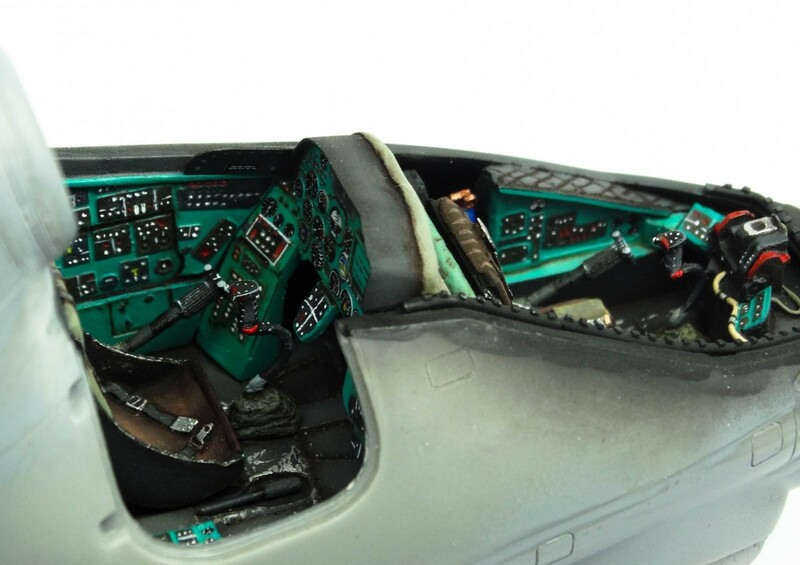 The Revell/Monogram cockpit is badly researched, so due to this factI chose the Pavla aftermarket resin cockpit . An overall re-scribing was needed because the kit came from 1986 and doesn’t include any engraving. It was very easy to handle this with a small steel ruler and the Trumpeter engraving tool.The main rotor is a synthesis of the resin rotor correction set, scratch buildings and some of the original kit parts. This is a wonderful piece of work/art. Like Pedro, I thought the first photo was a real ‘reference’ shot! And I thought it was the real pic in the headline photo, too….outstanding! I have to agree with the others, great first photo! Looked real. Great job Pascal! 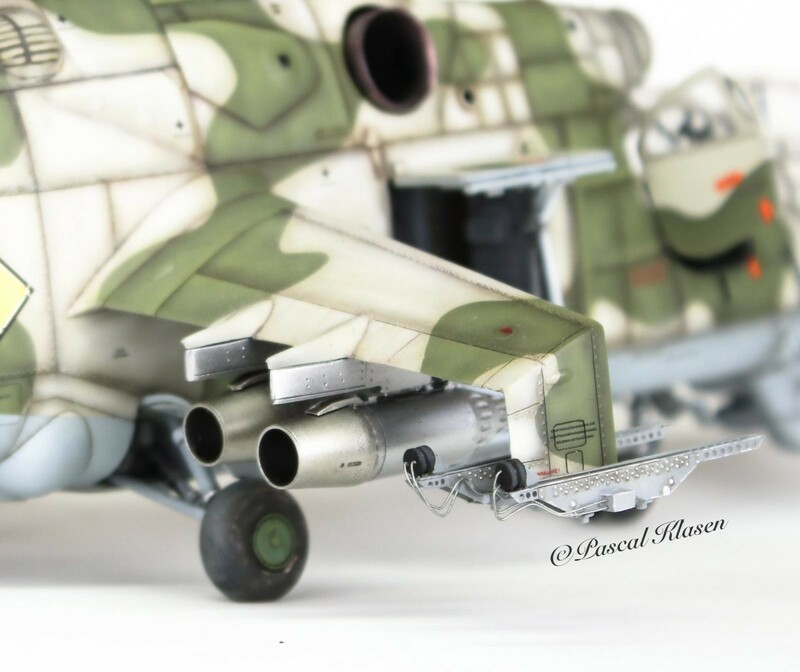 hello Pascal, this is a great Hind…i love the fine details, the great paintwork with authentic colors and the kit’s overall appearance, congratulations! Thanks 😉 I tired some new techniques on the hind. Beautiful work – your detailing really paid off (thought can’t see the cockpit). Well done! Hey Greg – thank you her you got one image of the pit. Amazing job. Like very much. What do they call it… the monetary suspension of disbelief …followed by omg. 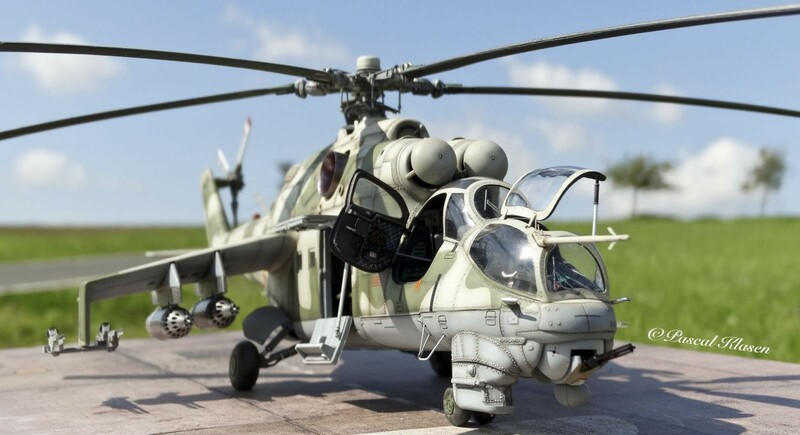 The photography is top notched too… It really helps to create the illusion and magic of seeing a Mi-24D on the tarmac. What a way to start the new year…hit the ground running for “Model of the Month”. Two thumbs up Pascal. Thanks a lot 😉 I spent so many hours on this model…. VERY well done, Pascal! Like the others, I thought the 1st photo was real! Great Hind D,, Mr. Klasen. Outstanding work. The finish is remarkable. Very well done. Great job!!!!! I love Mi-24. Great looking Hind Pascal, really like the work you did on the cockpit. A great job and excellent photography that helps show that great work. I have two Hinds in 1/48 and will build a Diorama of KHG-3 Cottbus. Nice work on this Mi-24. It’s a hard kit to make yourself realistic and you’ve mastered it!